The recent decision of Ghana’s central bank to restrict gold exports has brought the issue of conflict gold into the limelight. Industry observers say some of the conflict gold is being routed to various refiners, including some in India. Conflict gold is mined illegally or by employing child labour or using illicit means of mining. Funds generated by such means are used to support military, war or illegal activities. The issue of conflict diamonds has largely been addressed by making a Kimberley certificate a must. 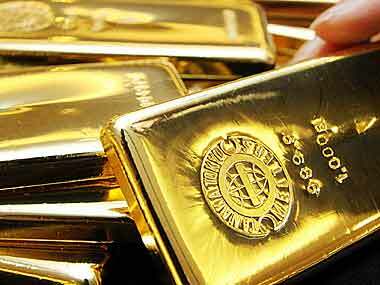 Conflict gold started entering the country due to the import duty differential. In 2015, conflict gold imports in India in dore form is estimated at 30-35 tonnes, valued at around Rs 8,000 crore. India’s dore imports in 2014 were 120 tonnes, which rose to 150 tonnes between January and August this year. A month before Ghana imposed restrictions, dore imports stood at an estimated 32 tonnes, and the trend may have continued in September. Established refineries do not enter the conflict gold business. “Some importers are bringing conflict gold into India, which is supplied to refineries without their knowledge of the source of such dore,” said a Dubai-based jeweller. While it is necessary to declare the mine of origin with the customs department, such details are rarely declared. Only refiners accredited to the London Bullion Market Association or those managed professionally declare these details. But even if such details are declared, it is difficult to confirm the origin of the gold because dore is bought from aggregators. Conflict gold is not confined to Ghana. Money made from gold mining in the Democratic Republic of Congo is being used for funding armed groups and corrupt members of the Congolese military, according to a report released this summer by the US Government Accountability Office. Ghana produced 108 tonnes of gold in 2014, according to the GFMS Gold Survey 2015. In 2014, exports from Ghana to India were estimated at 55 tonnes. Early this month, Ghana’s central bank canalised gold exports through a state agency, Precious Metals Marketing Company. The central bank clarified it was forced to introduce new rules for gold exports due to consistent underdeclaration. George Abradu-Otoo, managing director of Precious Metals Marketing Company, was quoted in an interview as saying the country exported gold worth $1.925 billion in 2014, or about 55 tonnes. These volumes have surprised many, given much of the mined gold is part of long-term contracts with refiners. Many believe conflict gold is being routed through Ghana and other countries. Ghana per se is not considered a conflict region. Most of the gold is believed to have been exported by persons of Indian origin and routed through Dubai. While Indian importers might have made payments as normal business payments, sources said the money ultimately reached Ghanaian exporters. Proceeds of such exports are said to be used for corruption and terrorist activities. “There are approximately 25 suppliers shipping gold to India from Ghana, and they say that the share of PMMC is negligible in terms of direct exports to India, with most of it routed through entities based in Dubai. It is possible that the full benefits of the final price, which at times involve a premium, are not being transferred to Ghana's treasury,” they added.